Home of Blues News, Reviews, and More. 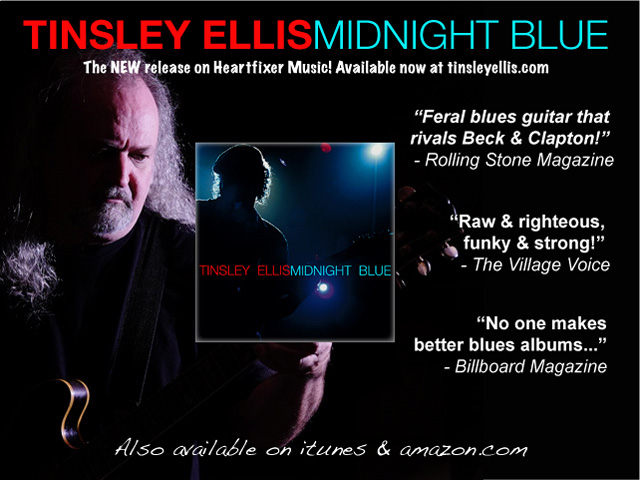 We have six Blues music reviews for you. Rainey Wetnight reviews a new CD from Shaun Murphy. Jim Kanavy reviews a new CD by The Bob Lanza Blues Band. 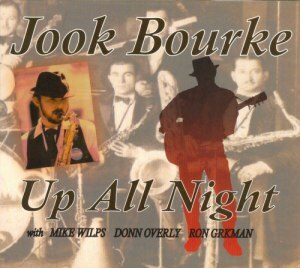 Marty Gunther reviews a new album from Jook Bourke. 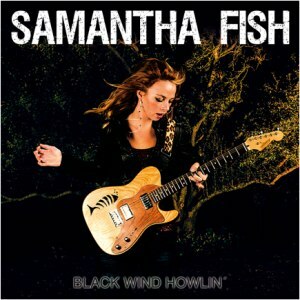 John Mitchell reviews a new album from Samantha Fish. 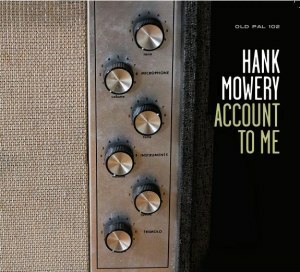 Rex Bartholomew reviews a new CD from Hank Mowery. Rhys Williams reviews a new CD from Jeff Jensen. We have the latest in Blues Society news from around the globe. All this and MORE! SCROLL DOWN!!! 50% OFF – THE LOWEST PRICES FOR 2014 SEASON!!! 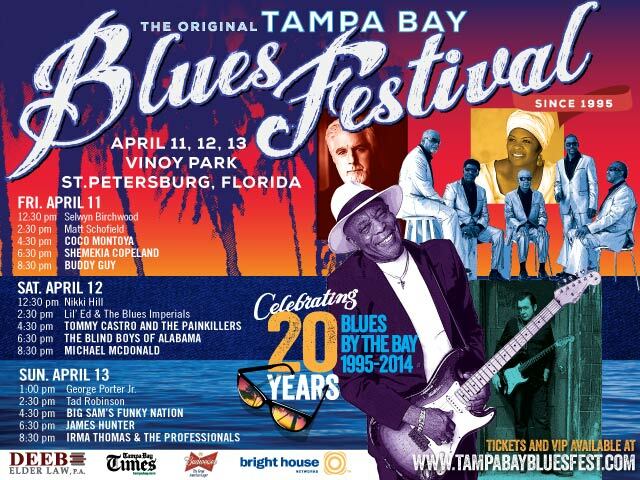 Blues Blast Magazine’s Early Bird Special is our lowest pricing of the 2014 year. It offers an affordable & effective way to get the Blues word out! This 6-week combo ad rate allows you to add significant impact to your Blues advertising and promotion campaign. It is a great way to kick up the visibility of your new album release, Blues event or music product all around the globe! This is perfect for a new album release, an event advertising campaign or any new product. 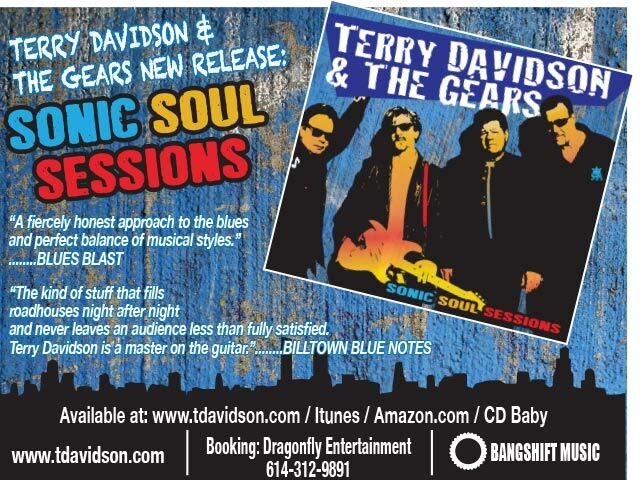 Blues Blast Magazine is a great way to promote anything. More than 26,000 Blues fans read our magazine each week. They are located in all 50 states and in more than 90 countries. We get more than 2,000,000 (That’s TWO MILLION) hits and more than 45,000 visitors a month on our website. To get this special rate simply buy your ad space by MARCH 31st, 2014!!!! Ads can run anytime between now and December 2014. With this special rate, your ad can be viewed more than 200,000 times by our readers who want to know about your Blues events and music! Reserve your space today! Space is limited and will be sold on a first come first served basis. Other ad packages and options, single ads, short run ads or long term bulk rates available too! 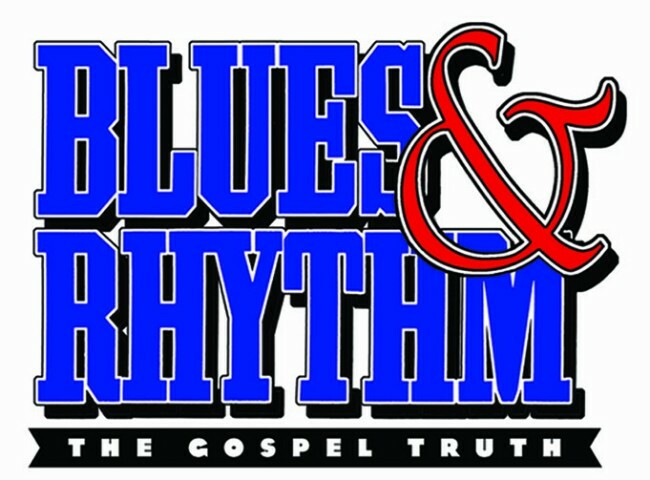 Visit www.BluesBlastMagazine.com. To get more information email info@bluesblastmagazine.com or call 309 267-4425 today for an ad plan that fits your needs. Ads must be reserved and paid for by MARCH 31st, 2014!!! Track 03: “Broken Things” – This heartstring-tugging ballad by Julie Miller is a love song for the Lord, who takes an interest in the objects mentioned in the title. “You can have my heart; oh, it isn’t new. It’s been used and broken, and it only comes in blue,” our narrator confesses, her voice rolling like a river in a rainstorm. Backing her up are John Wallum’s inspired organ and piano keyboards, which may make one imagine a church rather than a nightclub. Prayer isn’t only done silently, as Shaun Murphy brilliantly shows.double win) in last year’s Blues Blast Music Awards, with Best Female Blues Artist of the Year and Best Contemporary Blues Album of the Year, is a daunting feat upon which to build her Blues career. Nevertheless, she is more than up to this Olympic-sized challenge. One of the reasons is her remarkable blues and blues-rock pedigree. She’s toured with such legends as Eric Clapton, Bob Seger, Joe Walsh, Bruce Hornsby, Glenn Frey and the Moody Blues. From 1993 to 2009, she was also the lead singer for the iconic ‘70’s band Little Feat. As if that weren’t enough, the inexhaustible passion and energy she pours into her music seem to come from a higher power. Thirdly, even though all eleven selections on “Cry of Love” are covers, she gives fans countless reasons to fall ‘head-over-heels’ for her heartfelt interpretations of each one. Also performing are guitarists Kenne Cramer and Shawn Starski, co-vocalist and engineer/mixer/bassist Randy Coleman, Tim Gonzalez on harp, John Wallum on keyboards, and drummer Tom DelRossi. The following three songs present Shaun Murphy’s vocals in three distinct styles: poignant, pointed and powerhouse. Track 05: “Go Back to Your Used To Be” – In her rendition of Jessie Mae Hemphill’s hit, Murphy’s voice is whiskey-sour: “I know you’ve been wandering, baby, sitting on the side of my bed. You’re drinking old Johnnie Walker, babe, don’t remember a word you said….” Kenne Cramer on acoustic guitar and Tim Gonzalez on harmonica complete this gritty ditty, which stings like hard liquor in the throat. It’s very easy on the ears, though. Track 08: “Nickel and a Nail” – These are the contents of our hard-luck hero’s pockets, as Shaun launches into a sordid story composed by Deadric Malone, Vernon Morrison, and Don Robey: “My friends, they just don’t know. They still, deep down in their hearts, they think I’m doing swell. They don’t know…All you hear me jingle is a nickel and a nail.” No one wants to be abandoned by one’s partner and one’s pocketbook simultaneously. Romance may come and go, but the blues lasts forever. 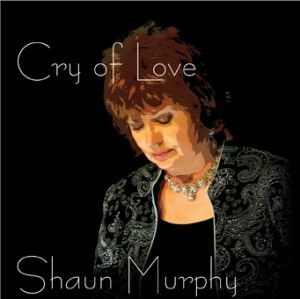 Formidable Shaun Murphy proves it time and again, demonstrating that a “Cry of Love” doesn’t have to be all ‘hearts and flowers’! Reviewer Rainey Wetnight is a 34 year old female Blues fan. She brings the perspective of a younger blues fan to reviews. A child of 1980s music, she was strongly influenced by her father’s blues music collection. There has to be a million things that are easier to do than to try and hold the attention of a classroom full of 13- and 14-year-olds for even a few fleeting moments. Things like wrestling a grizzly bear, discovering life on Mars or learning how to make it rain on command seems more attainable than seizing the attention of a teenager, especially when the subject concerned is the blues. While that is a daunting task, because after all, Britney Spears has little to do with the real, deal blues, it turns out that it can be accomplished, as New Jersey bluesman Toby Walker once found out. With the way that Walker commands a guitar, it should really come as no surprise that he’s capable of penetrating the conciseness of the young and the old. 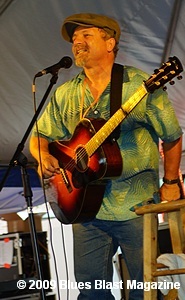 The winner of the 2002 International Blues Challenge’s Solo division, Walker has earned his place among the elite acoustic guitar players around the globe. Whether its lightning-fast runs up and down the neck or licks that are so low and slow you’d swear they were busting out of your gut, Walker can do it all on a six-string. Matter of fact, he’s so versatile that it would something of an insult to peg the man as strictly a blues guitarist, because he’s so much more than that. 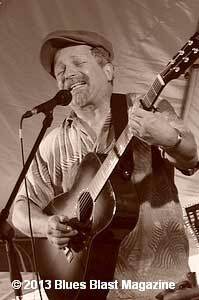 To be certain, the spirit of bluesmen like Barbecue Bob and Scrapper Blackwell inhabit his soul, but they fight for equal space with the eclectiveness of Leo Kottke, the jazzy sensibilities of Charlie Christian and the rootsy styling of Doc Watson, deep inside the Long Island, New York born Walker. That virtuoso ability has even caught the attention of blues-lover on the other side of the pond, as well. It seems like acoustic-leaning blues artists have always faced something of an uphill battle in order to get the same attention and adulation that their electric-playing brethren get. It’s almost as if the two camps have a dividing line placed right between them. That’s not to say that acoustic players can’t wail away on an axe that’s plugged into a Marshall stack, or that a Strat cat can’t heat up a Martin 12-string when the mood strikes. Well-versed in a myriad of acoustic styles – delta, Piedmont, Chicago and the good ole’ country blues – Walker can at one instant soothe with a delicate finger-picked pattern and the next moment rip things up with some howling slide work, rivaling the fireworks that his electric counterparts generate. Walker had the unique opportunity to have ‘the hair on his neck rise’ up close and personal on several occasions on one of his many trips down south to locales like Holly Springs, Leland and Bentonia, Mississippi. It was there that he not only apprenticed at the feet of some of the masters of the true delta blues, legends like R.L. Burnside and ‘Son’ Thomas, along with Jack Owens and Bud Spires, it was also there that those gentlemen – several decades older – and Walker, formed a lasting bond as friends. While he no doubt could have gained some knowledge and a little insight into the way true-blue cats like that lived and played the blues from a distance away, in order to get as close to the source of the spirit of the music as he wanted, there was no substitute for going down south and letting it wash over him in the flesh. Far removed from its hallowed breeding grounds of the deep south, growing up in New York might not seem to be the ideal spot to get turned on to the blues –especially acoustic blues – but, where there’s a will there’s a way. Even though he may not have fully realized it at the time he was attending high school, in addition to turning on his classmates to the wonderful world of the blues, Walker was also honing what turned out to be some considerable and useful skills as an entertainer at the same time. 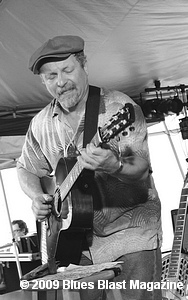 Those that have had the good fortune to catch Walker on the bandstand can attest to as much, as they’re likely to end up getting a bit of a history lesson about the blues and a little background information – often gained firsthand by Walker himself – about the artists that created the magical music that springs forth from his guitar. Simply put, Walker’s anecdotes and snippets of stories, both fabricated and true, are as big a part of his show as are his impressive guitar skills. Walker’s nimble abilities on the guitar have caught the attention of a who’s-who of incredible musicians over the years, including a guitarist who was at ground-zero of psychedelic rock during the Summer of Love – former Jefferson Airplane and current Hot Tuna mastermind Jorma Kaukonen. A chance meeting in the lobby of a Manhattan theater before a tribute concert to the Rev. Gary Davis turned into something much more when Walker and Kaukonen first crossed paths. “Oh, man, he was another of my idols growing up. In the lobby, this woman comes walking up and goes, ‘You’re Toby, aren’t you?’ I didn’t recognize her, but right behind her was this big guy and it was Jorma. He goes, ‘Hey, Mr. Walker, how are ya? We’re going to have you at the ranch next year.’ And that was it,” Walker said. The ‘ranch’ that Kaukonen referred to was his retreat in Ohio called Fur Peace Ranch. More than just a rustic getaway, Fur Peace Ranch has turned into a must-visit destination for acoustic guitar lovers and is loaded with a staff full of master teachers each year, one of which Walker became. Over the years, teaching guitar has become second nature to Walker – as evidenced by his numerous return visits to Fur Peace Ranch – and he clearly takes as much pride in that ability as he does in his ability to leave an audience speechless after one of his own solo concerts. Those that don’t live in the immediate vicinity of Walker’s neighborhood, or next to the Fur Peace Ranch, need not fret. Thanks to technology, those interested can access his teaching methods via Walker’s Web site – www.littletobywalker.com. Even if sometimes those you’re working for in the realm of the blues may not get it. Interviewer Terry Mullins is a journalist and former record store owner whose personal taste in music is the sonic equivalent of Attention Deficit Disorder. Works by the Bee Gees, Captain Beefheart, Black Sabbath, Earth, Wind & Fire and Willie Nelson share equal space with Muddy Waters, The Staples Singers and R.L. Burnside in his compact disc collection. He’s also been known to spend time hanging out on the street corners of Clarksdale, Miss., eating copious amounts of barbecued delicacies while listening to the wonderful sounds of the blues. For other interviews on our website CLICK HERE. 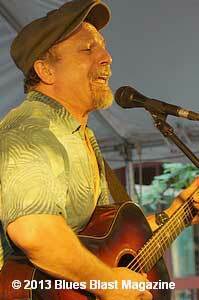 Bob Lanza is a guitarist and singer from northern New Jersey. Bob spent four years as bandleader for Floyd Phillips and the Mudflaps, and has backed legends like James Cotton and Nashville’s Dave Perkins. He went out on his own after Floyd Philips died in 2001 and hasn’t looked back. Inspired as a child by a Muddy Waters concert, Lanza has loved the blues ever since. His style is based around Muddy’s urban blues, but he pulls in bits and pieces from Jump blues, Texas shuffles, and a deck stacked with Kings. Lanza’s blues are an amalgamation of traditional styles that form a singular vision of 21st Century Blues. The album is the latest offering from Bob Lanza and his band. It’s a sturdy mix of covers and originals centered on his powerful voice and ripping guitar. Surprisingly, the first lead guitar licks heard on the disc are from Bob Lanza’s son Jake. Jake Lanza gets three solo spots in lead track “Maudie.” Jake’s phrasing and tone is faultless and leaves the listener wanting more. Keyboardist Ed “Doc” Wall pulls double duty on organ and piano and guest vocalist Joe Cerisano pours out his lonesome soul to Maudie. It’s a credit to Bob Lanza’s confidence in his fellow musicians to highlight so many of them in the lead track of his new album. “Maudie” sets a high standard for the rest of the disc, which it unequivocally lives up to. “‘Til The Pain Gone” is a rollicking piano shuffle that rolls on like the train in Lanza’s lyrics. The whistling harp warns the train is coming and you better get off the tracks. This is a steam engine running at full throttle and Lanza is wailing for all he’s worth. The ending solo is frantic; stoking the fire and pouring out the pain. “Snake Byte” showcases David “Snakeman” Runyan, harp player extraordinaire in a Chicago Blues harmonica work out with clean crisp solos from Lanza and tour de force harp blowing. The disc visits all the blues neighborhoods of Chicago from the South side stomp of “I’m Ready” and the piano driven romp of “Sugar Sweet,” to Magic Sam’s West Side on “Every Night & Every Day” and into the suburbs with “Outskirts Of Town” which is a slow burn duel with PA/NJ favorite Lee Delray. This quartet of songs reminds us of the hard scrabble Chicago environment from which they came and the rough and tumble New Jersey environment of today where Lanza and his band ply their trade. This is no-nonsense blues. ‘Til The Pain Is Gone takes the volume down a few notches with a pair of acoustic tracks before wrapping the whole thing up in strutting style with “Mojo” – aka “Got My Mojo Working.” The first of the pair is “Lonesome,” and it lives up to its name. This old Memphis Slim number is low down, back porch blues with a little honky-tonk piano added for good measure. “Our Life” is a Lanza original that mixes well with the country blues of “Lonesome.” The Snakeman puts his indelible stamp on the tune, interacting on an almost telepathic level with Lanza. David “Snakeman” Runyan is the not so secret weapon of the Bob Lanza Blues Band. He’s the perfect tangy relish for Lanza’s Jersey Ripper. The Bob Lanza Blues Band consists of Reverend Sandy Joren on bass, Noel Sagerman on drums and David “Snakeman” Runyan on harmonica. They lay down earthy, gritty, sweaty blues for those who toil the day away barely making ends meet. This isn’t uptown blues. Lanza refers to his music as Jersey Blues and it is indeed tough, gruff, bare-fisted, and in your face. It’s honest, a little over the top, and not for the faint of heart. 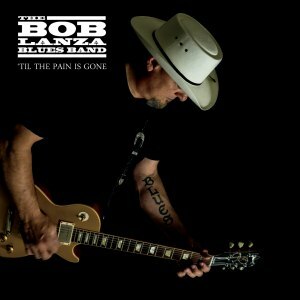 ‘Til the Pain Is Gone might be the exact amount of time you’re going to drink at the bar but it’s also a tremendous new CD by a veteran band just starting to get national attention. If you’re looking for the real deal this is it..
Reviewer Jim Kanavy is the greatest guitar player in his house. He has been reviewing albums in his head for 30 years and in print since 2008, and is deeply committed to keeping the blues alive and thriving. For more information visit http://jimkanavy.com. Multi-instrumentalist Jook Bourke bridges the gap between blues and jazz with this interesting collection of original material after a career that’s featured the release of two previous acoustic blues CDs. The album is both reunion of old friends and a tribute to musical forebears. Drummer Mike Wilps’ father Shack played the skins in a succession of bands with Patty. Both of the dads are featured in photos that grace the CD cover and interior art. And guitarist/keyboard player/percussionist Donn Overly and bassist Ron Grkman also are old friends from the Keystone State. Tim Renshaw also contributes to the sound with a guest appearance on piano. If you’re a fan of the New York based blues/fusion group Hasmat Modine, you’ll enjoy the kickoff tune, “Precious Eyes.” It begins with a haunting horn line as Bourke sings the praises about a lady: “What you got behind those eyes/You can’t talk/You can’t tell lies./I have seen this look before/I never knew if I’d see some more.” The tune swings from the jump. A traditional blues sax line introduces “What Am I Gonna Do?” as the vocalist relates his concerns about coming face-to-face with true love. It’s a slow blues perfect for making time on the dance floor. The title track, “Up All Night,” follows. It’s uptempo with a Latin back beat and relates difficulties dealing with daytime problems after a sleepless night. The modern blues “Two Will Nicely Do” follows. It’s a paean to a quality relationship. “Come On Man” questions the actions of someone acting ridiculously. A bluesy horn line carries the tune from beginning to end with guitar adding counterpoint rhythm. The mood darkens for “Ain’t No Body Knows,” dealing with the reality of being an adult and finding that hard work doesn’t necessarily bring expected rewards. Bourke’s vocals and Wilps’ drums propel the song. The uplifting “Capable Woman” follows, telling the tale of a lady who basically provides an antidote for the previous song. “Toby Love (The Cat)” details a case of feline envy. The singer’s woman is showing far more love to the critter than her human companion. It’s a perfect lead-in to “There She Goes,” in which Bourke displays his harmonica chops and the lady proves that her promise to leave was true. The disc finishes with “Thunder Comin,’” a steady-rocking autobiography of growing up in Pennsylvania when the boom ended in mining country. Although it’s not your standard one-four-five blues, the disc swings steadily with well-conceived new material throughout. Bourke’s music touches down on many bases, and it’s definitely worth a listen. Available through Amazon and CDBaby.com. Reviewer Marty Gunther has lived a blessed life. His first experience with live music came at the feet of the first generation of blues legends at the Newport Folk Festivals in the 1960s. A former member of the Chicago blues community, he’s a professional journalist and blues harmonica player who co-founded the Nucklebusters, one of the hardest working bands in South Florida. Kansas City’s Samantha Fish has enjoyed a pretty meteoric rise over the last few years. She was part of the Ruf Records ‘Girls With Guitars’ package alongside Danni Wilde and Cassie Taylor, has played on the Blues Cruise and recorded a debut CD with Mike Zito at the controls. For her sophomore release Mike returns as producer but this time around he has brought along some of his colleagues from The Royal Southern Brotherhood: Yonrico Scott on drums and Charlie Wootton on bass. Mike adds occasional guitar and vocals, Paul Thorn sings on one track, Jumpin’ Johnny Sansone plays harp on two and Bo Thomas plays fiddle on one. All the material bar one track is original, Mike Zito co-writing one song. On her debut album there were arguably too many gentle songs but this time around there is a tougher edge, well exemplified by the opening cut “Miles To Go” which starts the album at a terrific pace, Samantha cutting loose on her cigar box guitar over a frenetic rhythm, a song about being on the road, travelling long distances to meet one’s obligations. “Sucker Born” features Johnny Sansone’s harp and Samantha’s strong vocals on a song about the ‘disease’ of gambling. There is quite an angry feel to this one, as there is on “Go To Hell”, the co-write with Mike Zito and a shared vocal with Paul Thorn. Samantha’s guitar digs deep in her solo, the wah-wah matching the angry tone of the lyrics. The title track “Black Wind Howlin’” is the longest track here and finds Samantha harmonising with her own slide playing before cutting loose on guitar on a song that owes something to the North Mississippi Hill Country Blues tradition. “Heartbreaker” is a catchy rocker in which the lyrics are almost a response to “Let’s Have Some Fun” as here it’s the guy who is always likely to let Samantha down, so she gets rid of him first! Some excellent slide playing here is well supported by some explosive drumming. “Foolin’ Me” ploughs a similar furrow lyrically with strong vocals and a good hook. “Lay It Down” is another mid-paced rocker with an insistent riff and a cautionary tale: “Devil’s knocking at my door, I ain’t home, it’s just a quarter past four, ‘cause me and Jimmy been sitting at the bar, drinking gin and playing cards. Got the ace up his sleeve, got a pistol on my side and if he pulls first I’m gonna give it to him right.” Is it always like this on a Saturday night out with Samantha, one wonders? Possibly the strongest cut on the album is “Kick Around” on which Mike Zito contributes the lead guitar part, a really catchy number with some upbeat country accents and a rousing chorus. This is an accomplished album which will certainly help to cement Samantha’s growing reputation in the blues and blues-rock world.! Reviewer John Mitchell is a blues enthusiast based in the UK who enjoys a wide variety of blues and roots music, especially anything in the ‘soul/blues’ category. 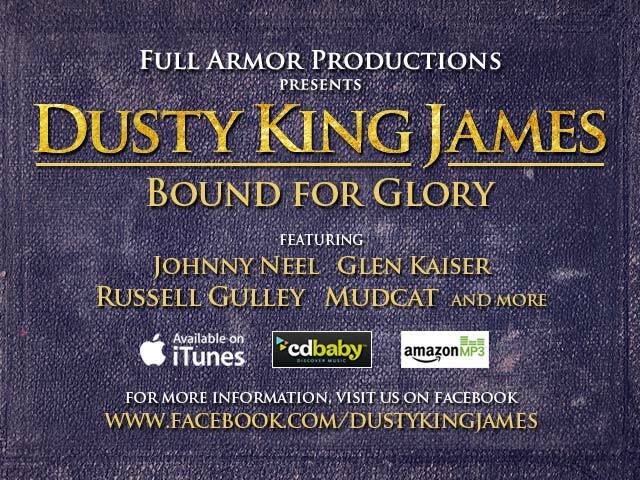 Favorites include contemporary artists such as Curtis Salgado, Tad Robinson, Albert Castiglia and Doug Deming and classic artists including Bobby Bland, Howling Wolf and the three ‘Kings’. He gets over to the States as often as he can to see live blues. Many musicians record tribute albums that include material made popular by artists that have inspired them or touched their lives. Most always the muse is a nationally or internationally known artist that has been active in popular culture for decades. Then there is Hank Mowery, who just released Account to Me, an ode to Gary Primich, a blues singer and harmonica master who left us too soon. Gary has not yet gotten the recognition he deserves, but that is changing thanks to this album which is a is righteous endeavor that is very well done. 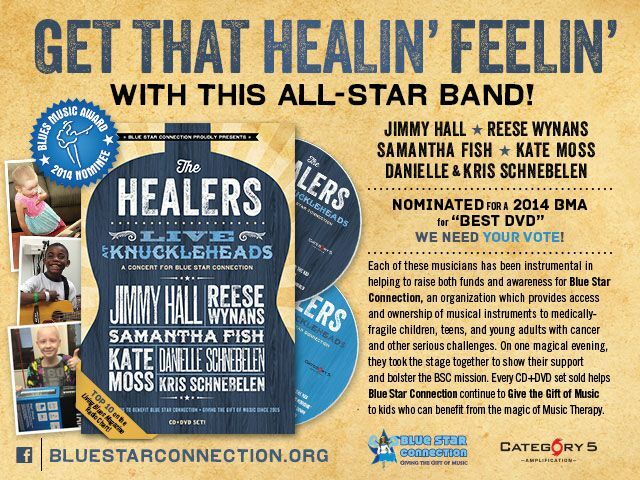 In fact, it is so well-regarded that it has been named the best self-produced CD of 2013 by The Blues Foundation International Blues Challenge! Gary Primich was a Chicago native who moved to Austin where he made a name for himself with his blues harp and his voice. Over the course of his career he played with a lot of great groups, cut nine of his own records, and produced a very good instructional CD on how to play the harmonica. Primich passed away in 2007, just short of his 50th birthday, but not before he had the chance to touch Hank Mowery’s life. Hank ran the Rhythm Kitchen Café in Peoria, Illinois where his band, The Hawktones, played, and Gary was one of the acts that was invited to join the action on stage. Hank Mowery is no slouch on the harmonica either, and it was natural that he would be the one to record this album, especially as he had the blessing and participation of Gary’s father, JV Primich, the executive producer of Account to Me. Hank took care of the harp and vocals on this project, and was joined by Patrick Recob on bass (Primich’s bassist, by the way), Troy Amaro on guitar, Chris Corey on the keys and John Large behind the drum kit. This disc includes five songs that were written by Primich, and two of them had not been previously released. “Spend a Little Time” is the first track up, and it is an original that was penned by Mowery and Recob. This is fast-paced rocker with a hammering piano line and a heavily distorted organ that takes the place of the guitar. Mowery proves himself right away with his throaty voice and wailing harp. One thing to note is that he chose to record this project at Grand Rapids’ Goon Lagoon Studios in an analog format (instead of digitally), giving this album a rich vintage tone. The next song up is the title track, a previously-unreleased Primich number that JV brought to the studio. “Account to Me” is a lovely ballad that features Amaro’s tremolo-soaked guitar with a sparse backline and Recob on the acoustic guitar. As this is a plaintive story of love and honesty it is all about the words and vocals, and the harmonica’s interplay with the guitar is just the icing on the cake. This is followed up by “Put the Hammer Down,” a snappy rockabilly song that Gary wrote about life on the road and his desire to get back home again. The two covers on Account to Me are both the kind of songs that Gary loved and made his mark with. Memphis Slim and Matt Murphy’s “Banana Oil” is a groovy Latin-influenced instrumental with a generous dose of Hammond B3 from Corey and plenty of edgy harp from Mowery, and at only 2 ½ minutes it leaves the listener wanting more! The other re-do is Reverend Robert Wilkins’ “That’s no Way to Get Along,” and guest artist Jimmie Stagger’s voice and National guitar join Mowery’s harmonica for this hill-country blues track. This bare-bones acoustic piece provides a marked change of pace and vibe, and is a wonderful way to bring the album to a close. It should be pointed out that if you buy this CD it includes a terrific booklet of liner notes that were put together by Mowery’s friend Tad Robinson, who is also a fabulous vocalist and harmonica player. It contains a nice write-up of Primich’s harp style, and detailed notes about each song on the disc. This added bonus is something that used to be commonplace, but sadly has become quite rare in recent years. Account to Me is a nice piece of work, and goes beyond the scope of most tribute albums as half of its content is made up of originals and covers that also celebrate the subject artist. Any musician would be overjoyed to have such a well thought out and produced album as their legacy. If you love the blues, rock and roll or rockabilly, Hank Mowery and his friends deliver the goods, and you should give this CD a listen. Reviewer Rex Bartholomew is a Los Angeles-based writer and musician; his blog can be found at http://rexbass.blogspot.com. There is a muscular poetry to Jensen’s songs, which is reflected in the playing of the band, which comprises Jensen on vocals and guitar, Bill Ruffino on bass, James Cunningham on drums and Chris Stephenson on organ. The album also features guest appearances from 2013 BMA winner Victor Wainwright on piano and the aforementioned Santini on harp. Jensen himself is a fine guitar player, showing a developed melodic taste in his solos whilst still evoking a range of emotions (especially in the closing song, “Thankful”, where Jensen’s solo perfectly compliments the positive lyrics in its wild abandon after the key change). The album was recorded “almost live” and primarily produced by Jensen (Wainwright produced four of Jensen’s vocal tracks) at Ardent Studios in Memphis, and he has done a fine job in capturing a live feel to the songs. On Jensen’s second guitar solo in “Brunette Woman”, for example, you can even hear him switching pickups mid-way through, giving the final verse an extra bite. Jensen moved to Memphis in 2011 from Portland, Oregon, which makes the warm-hearted acoustic shuffle of “Good Bye Portland” all the more personal: “I need a change in this atmosphere. I need a little sunshine more than twice a year…”. If this release is anything to go by, the move hasn’t harmed his creativity either. The album features a nice mix of originals and covers. Jensen wrote (or co-wrote, either with other musicians on the record – or in the case of “Good Bye Portland”, the Reverend Billy C. Wirtz) six of the ten songs on the CD. The covers are all well-known, but while Tom Waits’ “Heart Attack And Vine” and Muddy Waters’ “Crosseyed Cat” are given relatively faithful re-interpretations, Willie Dixon’s “Little Red Rooster” is turned into an upbeat shuffle and the old Nat King Cole standard (originally written by Razaf and Redman in 1929) “Gee Baby Ain’t I Good To You” becomes a funereal blues, giving an entirely ironic construction to the ostensibly happy lyrics. 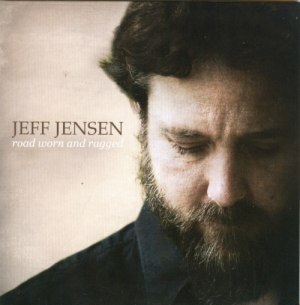 There is a lot to enjoy in this album, from the foot-tapping instrumental of “Pepper” to the brutal emotional honesty of the Segar-esque “River Runs Dry.” Indeed, this song may be the emotional core of the CD, as Jensen sings with a suitably road-worn and ragged voice that he thought he had “Got all the answers, but we never do. Blinded by my own point of view. Ghosts from our past can come alive, When that ol’ river runs dry.” It is a beautiful song and graced with a superbly sensitive and emotional vocal performance. While definitely a blues album, Road Worn And Ragged does lean towards the blues-rock end of the spectrum, so if you are a fan of the likes of Eric Clapton or Chris Antonik, you will certainly want to check it out. 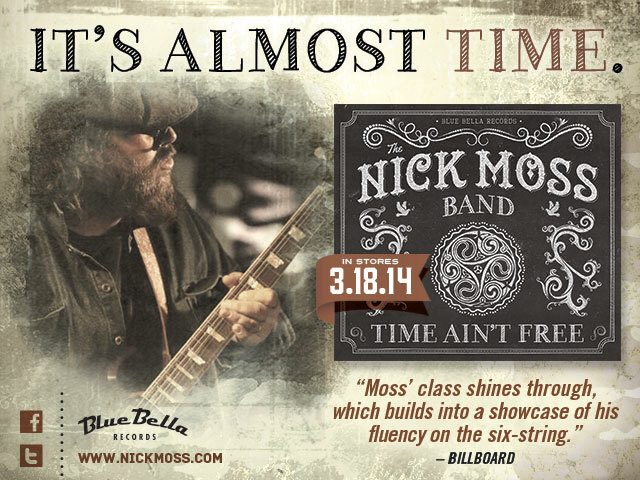 But every fan of electric blues will find a lot in this release to enjoy. Reviewer Rhys Williams lives in Cambridge, England, where he plays blues guitar when not holding down a day job as a technology lawyer or running around after his children. He is married to an American, and speaks the language fluently, if with an accent. Maximum of 175 words in a Text or MS Word document format. On Thursday, March 20, the Madison Blues Society will host its annual Wild Women of the Blues event. Wild Women will be singin’ the Blues at the High Noon Saloon, 701 East Washington Avenue in Madison. The show starts at 7:00PM. This year’s event will be a benefit for the Domestic Abuse Intervention Services (DAIS) and MBS Blues in the Community Programs. This year’s Wild Women will be power vocalist Blythe Gamble with the Stand Back Blues Band and world-class entertainer Peaches Staten with the Groove Shakers. Tickets will be $15 advance / $18 day of show ($12 adv / $15 dos for MBS members). Tickets are available now at the High Noon Saloon, the Knuckle Down Saloon and the Bristled Boar Saloon. Donations to MBS programs will be gratefully accepted at the MBS table. For more info, check us out at www.madisonbluessociety.com/wild_women14.htm. The 23rd Annual Blues Blast, presented by The Phoenix Blues Society, 501(c)(3), will take place March 8, 2014 at Margaret T. Hance Park at 3rd St. & Moreland near downtown Phoenix. Gates will open at 10 a.m. with music starting at 11a.m. Headliners: Samantha Fish and SugaRay Rayford with the Rhythm Room All-stars will join The Mike Eldred Trio, Paul Cruize Blues Crew and Leon J’s Juke Joint. Local favorite Hans Olson will provide entertainment between acts throughout the afternoon. Food, beverages and vendors will be on site. There will be master musicians holding a free music workshop for kids 12-18 from 10:00 a.m. to 10:45 a.m. There also will be an art project open for everyone’s contribution. Admission is $22 in advance and $25 day of show. Children under 16 accompanied by a parent will be admitted free. Early Bird tickets are available now until Feb.1 at www.bluesblast2014.eventbrite.com Tickets can be purchased online until day of show. Our monthly Saturday blues shows at the Hope and Anchor continue in February. On Saturday, February 15th it will be the Alex Wilson Band from Milwaukee. Saturday, March 8th is back to the Hope and Anchor with guitar virtuoso Bobby Messano and his great band. Both shows are $5 cover, 8 PM start. Tuesday, February 18th is another show at Mary’s Place on 602 N Madison Street in Rockford. Brent Johnson and the Call Up will be joined by Australia’s Anni Piper! Brent is out on his own after 10 plus years as part of Bryan Lee’s Blues Power Band! Cover is $10 and we stat early- 7 PM! Saturday, March 8th is back to the Hope and Anchor with guitar virtuoso Bobby Messano and his great band. $5 cover, 8 PM start. Crossroads Blues Society is proud to present the second annual Field of Blues Festival on Saturday, June 28th at Rockford Aviators Stadium in Loves Park. Alex Wilson Band is opening beginning his set at noon. Next up is an international act, Italian blues and singing sensation Linda Valori at 2 PM along with super guitar player Luca Giordano and our own Barstool Bob Blues Band with Bob Levis on guitar, Al Terrano on bass, Link Leary on drums and Don Collins on harmonica. The Jimmy’s will bring their swinging blues at 4 PM. At 6 PM, the ever cool Doug Deming and Dennis Gruenling will take the stage with the Jewel Tones. At 8 PM our headliners will be, well, we can’t tell you yet! We will let you know soon! 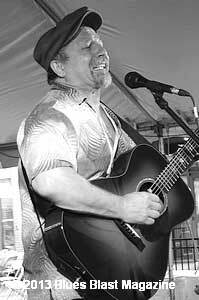 Between acts we will feature local acoustic blues man Dan Phelps. 10 hours of music from noon to 10 PM (we close at 10:30 PM). Tickets will once again only be $10 in advance and $15 at the door. Check us out at http://fieldofblues.blogspot.com/ or call festival chairman Steve Jones at 779-537-4006 for more information! The Illinois Central Blues Club has announced the line-up of talent for the Blue Monday live performances and jam sessions held every Monday night at The Alamo, 115 North Fifth, Springfield, IL from 8:00pm to midnight. Additional information on any performer listed below is available upon request. Performance dates were submitted by Musicians, Club Owners, Blues Societies and Blues festivals. TheBluesBlast.com is not responsible for errors or omissions. New Mexico New York North Carolina North Dakota Ohio Oklahoma Oregon Pennsylvania Rhode Island South Carolina South Dakota Tennessee Texas Utah Vermont Virginia Washington West Virginia Wisconsin Wyoming Other Countries Performance dates submitted by Musicians, Clubs, Blues Societies and Blues festivals. BluesBlastMagazine.com is not responsible for errors or omissions. Get the Blues word OUT! Blues Blast Magazine covers Blues all over! We also offer effective advertising for Festivals and Club Owners, Recording Companies and Performers. 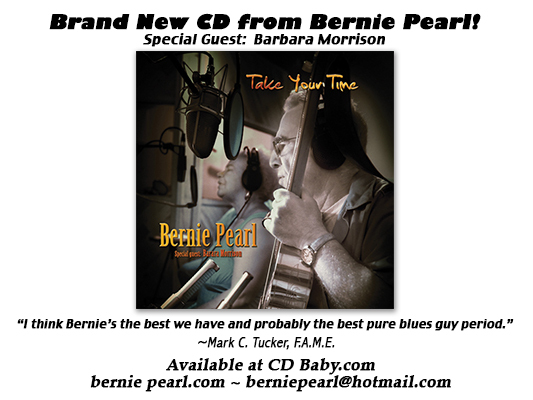 Put your Blues advertisement on our homepage at: http://www.bluesblastmagazine.com either as a sponsored event or as a featured event, product, recording or merchandise. We get 55,000 visitors and 3,000,000 hits A MONTH on our website! 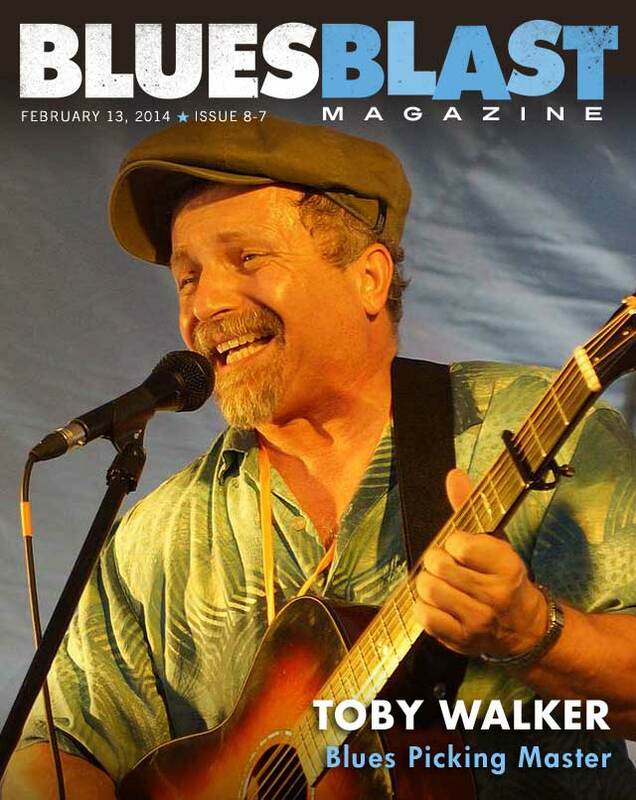 More than 26,000 Blues Fans, Musicians, Recording Companies, Club Owners, Blues Societies and Festival Promoters in all 50 states and in more than 90 countries read the Blues Blast magazine each week. You can feature your event or product in the largest FREE internet Blues magazine delivered right to your inbox each week. Blues Blast Magazine is an internet magazine featuring interviews, music reviews, photos, news, and more.